My little sister has been living in her house for 1 year. Now there is a few things that have taken her a bit of time to get use to. Paying bills, cleaning up after herself, new neighbors and not having unlimited access to my moms horror film collection. My mom is a bit addicted and has horror films that most people never even heard of! 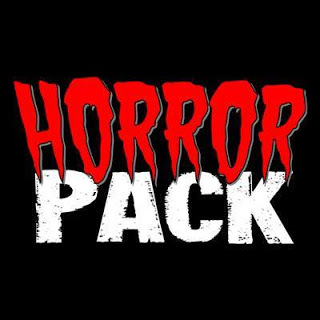 I really am I wanted to tell you about the HorrorPack Movie Subscription Service. Each month they deliver a package of scary movies right to your door! This is the perfect way to expand your horror film collection. Each film is carefully selected to make sure you get a great value for your money. And they are currently celebrating their anniversary! What does that mean for you?